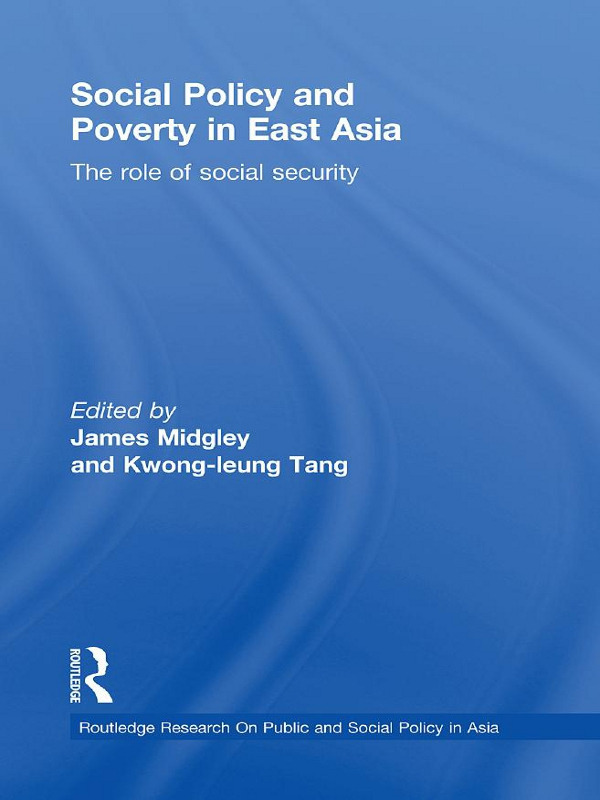 This book looks at the role of social policy and particularly social security in addressing the ongoing challenge of poverty in East Asia despite the region’s spectacular experience of economic growth in decent decades. The East Asian miracle resulted over the last four decades in a transformation of the region’s traditional agrarian economies and significant increases in standards of living for many ordinary people. Even though it was given little attention, poverty has remained an ongoing problem. The problem became particularly evident however with the Asian financial crisis of 1997 when many low income and middle class workers became unemployed. As a result of this crisis, the need for effective social policies and social security programs were recognized. The idea that economic growth would solve the problem of poverty was increasingly challenged. Even in China today, where rapid growth has created new employment opportunities and the promise of prosperity for many, the government has recognized that the problem of poverty cannot be addressed only through economic growth but that comprehensive social policies must be formulated, and this includes the development of an effective security system.